Portable speakers are a dime a dozen these days, running the full gamut of prices from $30 to $300 (and likely beyond). They come in all shapes and sizes, too - from the small Satechi Swift to the almost-a-boombox Jambox Big. Short story long, there are many to choose from, no matter your requirements. 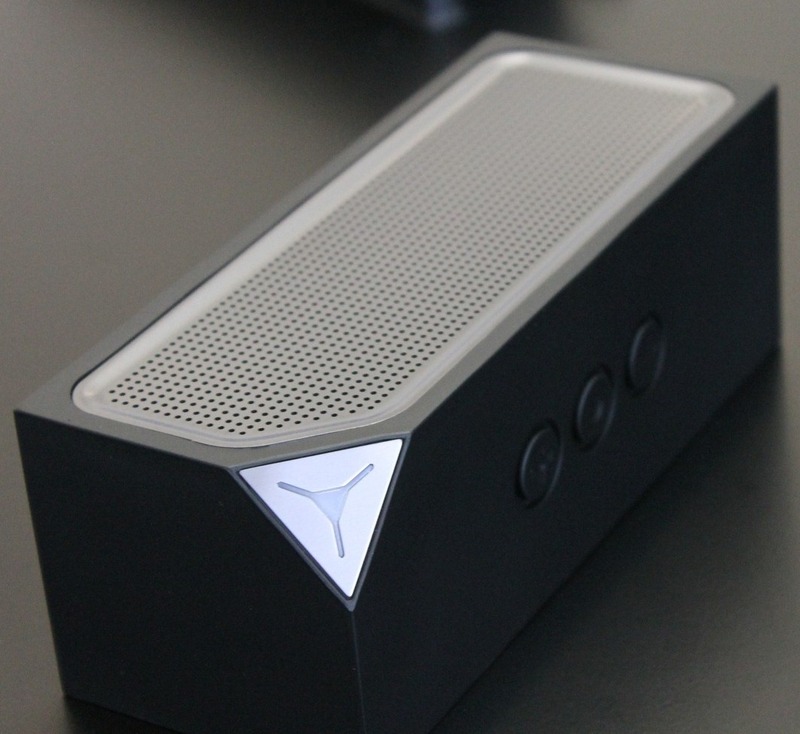 The most well-known is the Jawbone Jambox. 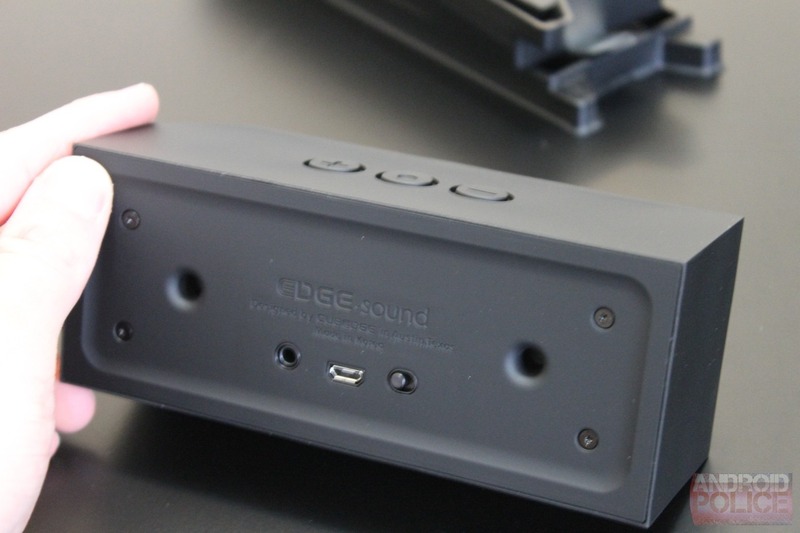 It puts out solid sound, comes in a portable and attractive package, and has good name recognition. But though the sound is good, it isn't necessarily the best, and you pay a premium for the name. 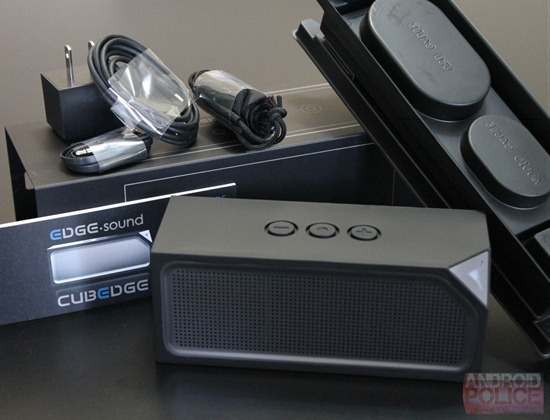 Nevertheless, it seems Edge has drawn its inspiration the slightly smaller and more expensive Jambox - but can it measure up? Everything from the packaging to the product smacks of quality. 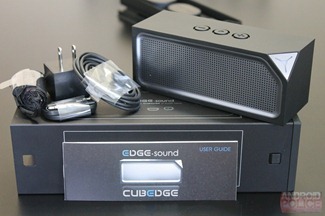 Starting from the beginning, the Cube comes in a very solid aluminum box. 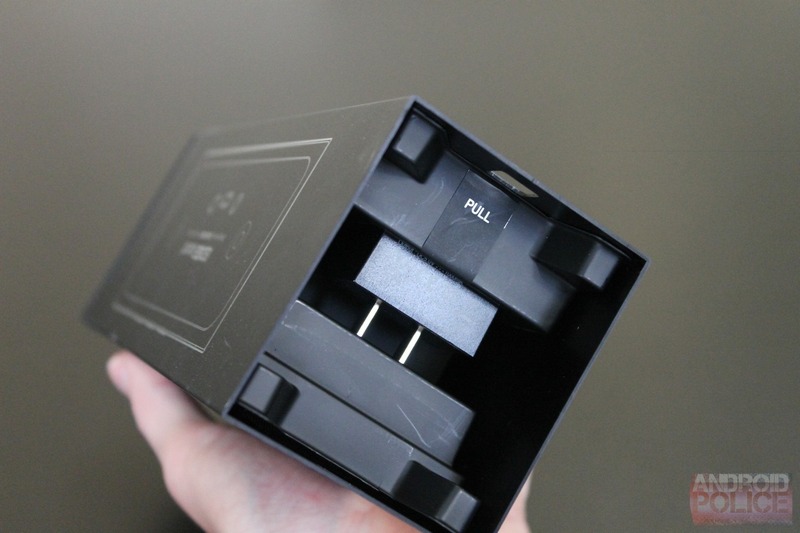 Crack it open and you find the speaker, manual, 3.5mm male to male cable, USB charging cable, and outlet adapter. 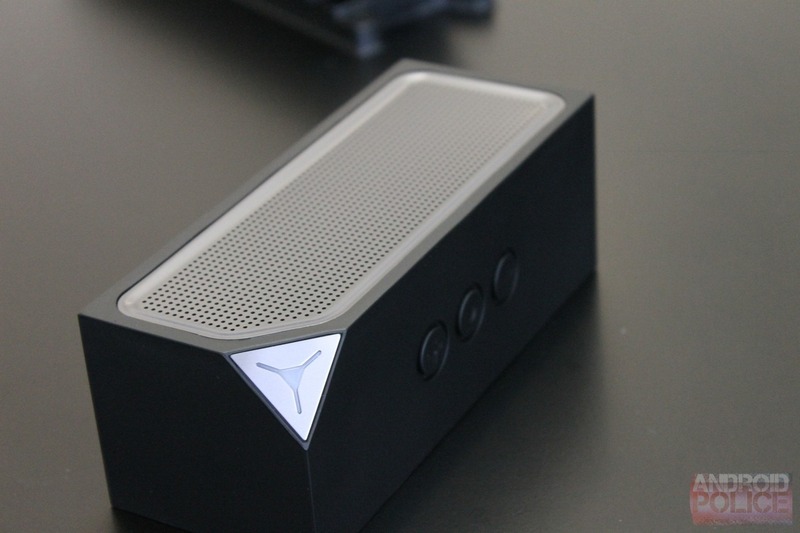 The speaker is very hard and feels extremely durable, yet thanks to the rubberized coating it feels great to the touch. They very clearly didn't skimp out on packaging or build, and they certainly deserve props for including the 3.5mm cable and wall charger. The flat black exterior and silver speaker grille are attractive, though I'm not in love with the lopped-off corner. It's a minor detail, but including a wall charger is an awesome touch when even some DEVICES force you to charge over USB (looking at you, Kindle Fires). Good, albeit unremarkable audio quality. Environmentally friendly: PVC-free, brominated flame retardant-free, and recycle container. Which is good, if you're into that sort of thing. As mentioned above, the sound is good, but not great. Placing the speaker upright produces better sound than placing it sideways, presumably because it gives the sub ports on the back some more room to breathe. The sound isn't especially distinct, either, and generally feels flat. So while EDGE.sound is good on paper, it fails to live up to its potential thanks to mediocre tuning. (Note: some equalizer tweaking will go a long way, here.) 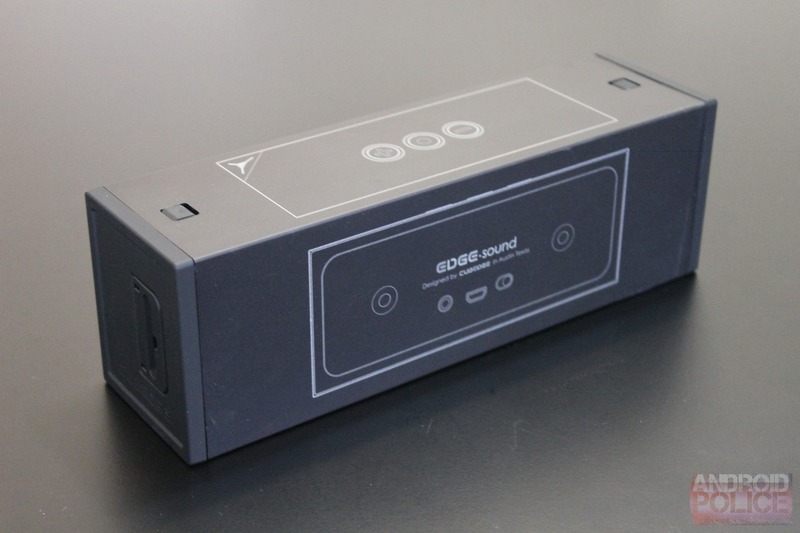 Consequently, it doesn't fill the room with rich, impressive sound out of the box - it's just a speaker. $150 for a speaker that's made from good materials but somehow is less than the sum of its parts is not a good value. 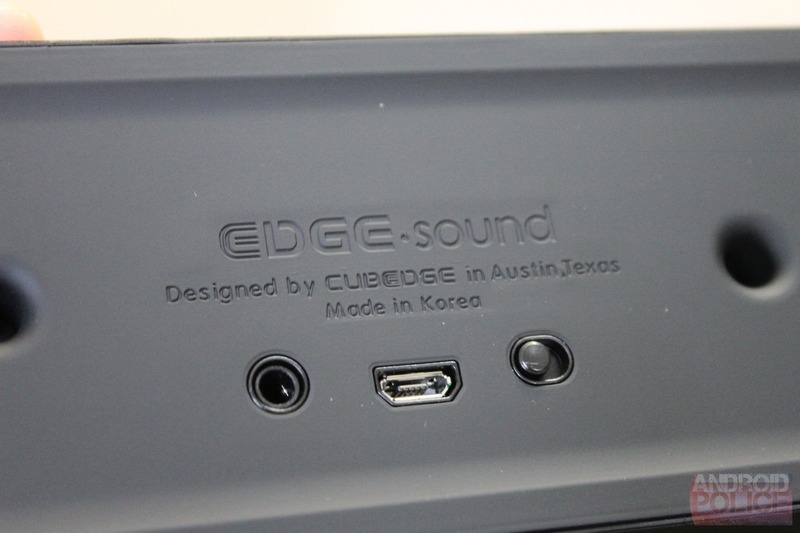 I feel a bit silly saying that since I'm confident the EDGE.sound carries a normal markup, so the price is reasonable... but the sound just doesn't justify it. 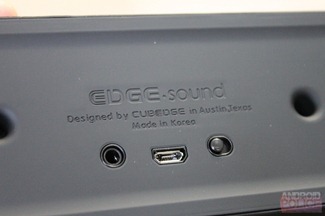 I'm really torn on the EDGE.sound... it's a nice speaker on paper, but it just doesn't quite measure up in practice. That's not to say the sound is bad - it's just not $150 worth of good. Sure, some equalizer tweaks can help it really come alive, but most consumers won't even know enough to tweak it out of the box, and frankly, they shouldn't have to. Let's put it this way: if you're not an audiophile, you're better off with a cheaper option. If you know how to tweak your sound and want a well-made speaker, then the EDGE.sound may be worth a look.